PARODY COMPOSED: Giorgio Coniglio, December 2018. 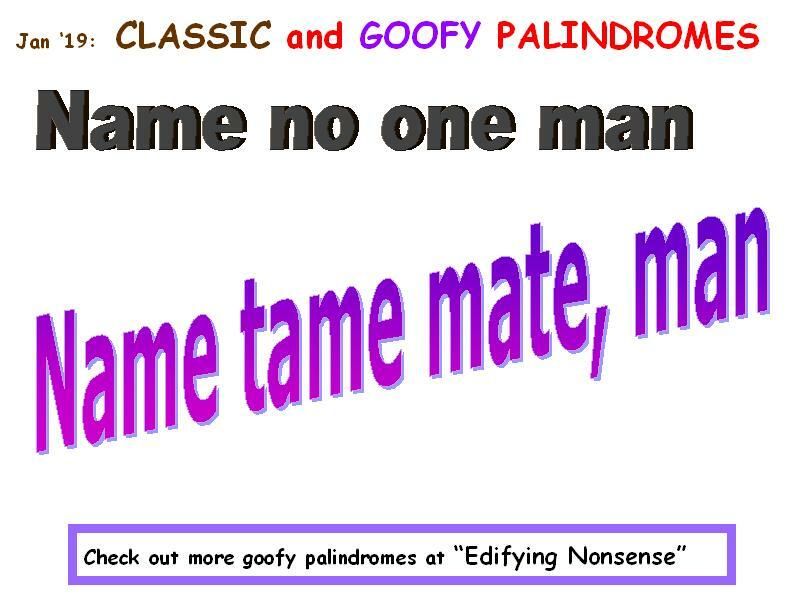 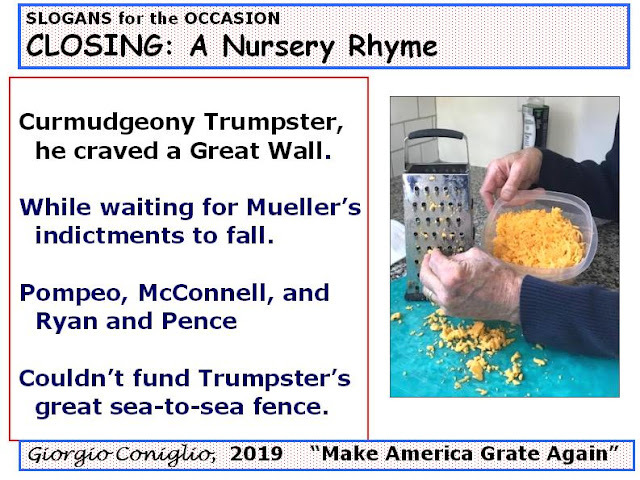 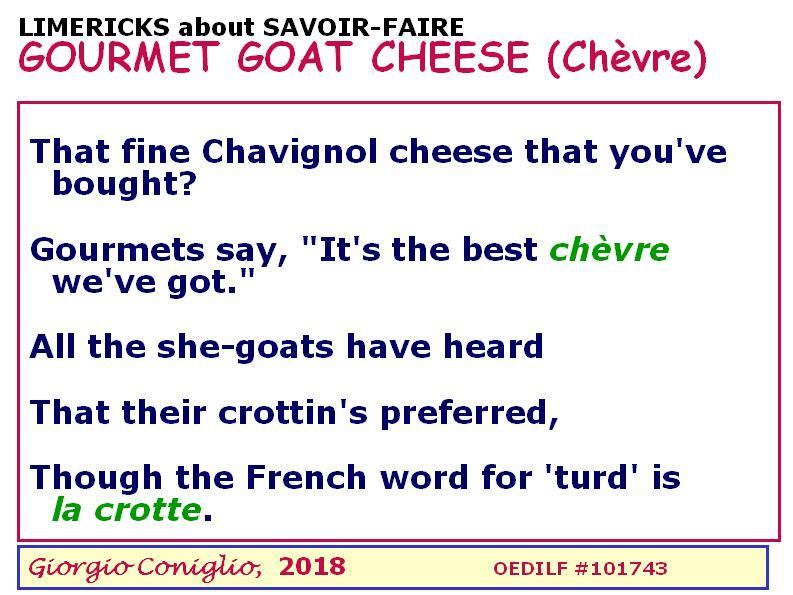 The involved verses are also web-published or under review at OEDILF.com, an online humour dictionary that has accumulated 100,000 carefully edited limericks. 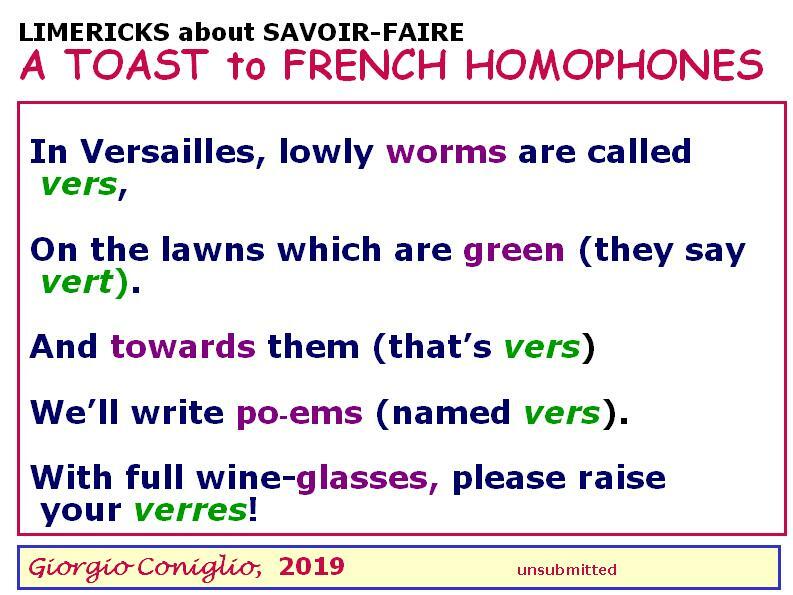 SONGLINK: For those readers who like poetry set to music: On our sister blog "SILLY SONGS and SATIRE", you can find various singable versions of limerick medleys including this collection of verses about French set to a novel tune.